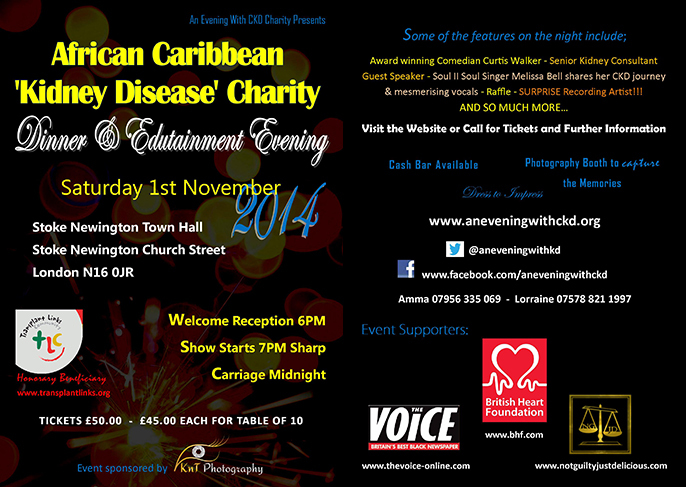 Discover how the African Caribbean Community is affected by Chronic Kidney Disease and how we can eradicate it. Whilst indulging in great entertainment, great music, 1st Class luxury Dinner buffet served with a welcoming smile. Please support this event, we really have a great evening in store for you! The wonderful Mr Geoff Schumann will be your host for this amazing evening!